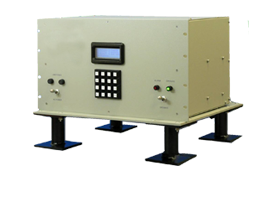 The GX-100™ supplies an interface between a commercial or military GPS and the standard shipboard navigation equipment that uses the Naval Tactical Data System (NTDS) protocol. The GX-100™ was designed as a functional replacement for the obsolescent AN/WRN-7 GPS receiver. It can receive periodic fix data from up to two independent GPS receivers and provides the necessary lever-arm corrected fixes to downstream shipboard equipment. The GX-100™ can interface with current and future GPS receivers, eLoran receivers, and current and future navigation and weapon systems.